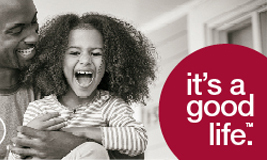 We know a comfortable home is about more than furniture; it’s about the hundreds of little moments that add up to something spectacular. After all, it’s life’s smallest joys that bring the biggest rewards. 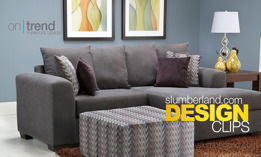 Slumberland. It’s a good life. Once you’ve chosen your color, you need to decide on the type of finish that suits you and your room. 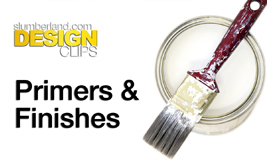 Paints come in a number of finishes, and they’re all about luster and washability. And keep in mind; if you are painting over an existing color, you may need a primer. 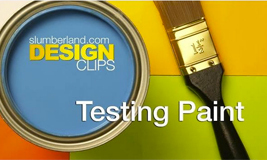 So you’ve used your paint samples to narrow it down to two or three different choices and can’t decide which color will look best in your room. It’s time for a wall test. Choosing to paint a room a new color is exciting, but it can also be overwhelming. 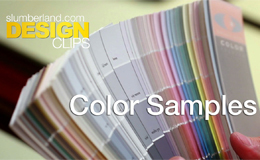 Using color samples to narrow down your choices is a great way to get started quickly and easily. We all need light when the sun sets, but not every light is equal or necessary. 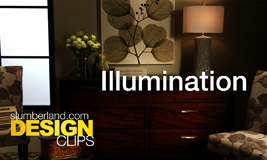 Knowing how each light source functions in a room is the key to a bright and beautiful home. Every room is enhanced by what we put on the walls that surround us. 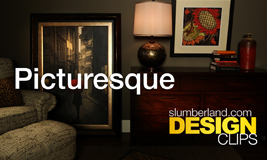 Using your room’s vertical space to add impact and accent your decor is easy, when you keep a few basic rules in mind. 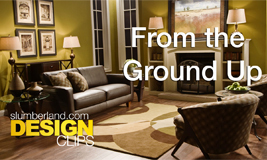 Design 1,2,3 - "From the Ground Up"
Home design is easy when you begin with a solid foundation and build from the ground up. 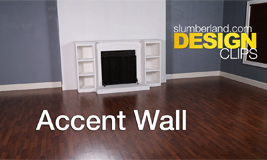 Start with choosing one main piece and your wall color, and build out from there. 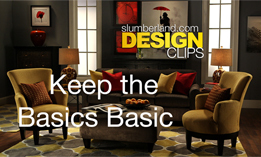 Design 1,2,3 - "Keep the Basics Basic"
When decorating a room, start with the basic pieces. The simpler they are, the more fun you can have with the details. One of the easiest ways to add dimension to a room is with a painted chair wall. A beautiful chair wall doesn’t take much time or money. Michael runs through a few of his favorite moments from this past season. 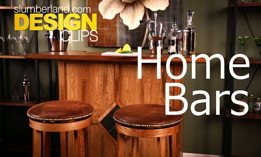 Michael has some fun with a few home bar ideas. 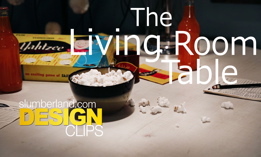 What is a living room table? 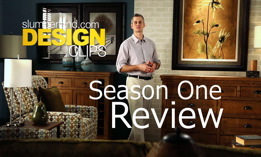 Michael shares some more ideas to get the most out of your furniture and living space. There are so many ways to use color in a room. 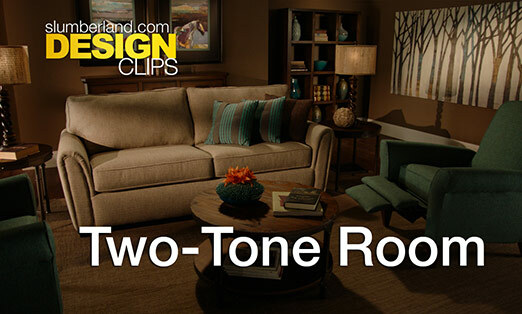 The two-tone room is one way to use color in different and imaginative ways. 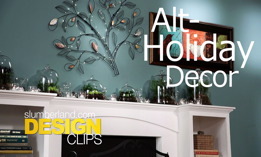 Michael gives a few tips on how to create a festive mood without all the usual holiday fuss. 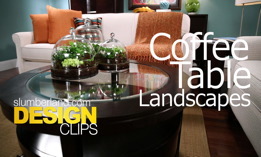 Michael gives a few examples of how to create a coffee table landscape worth talking about. 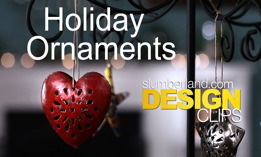 This holiday season Slumberland Furniture has partnered with Vineworks, a Minnesota company employing artisans around the globe to create beautiful handmade ornaments.